A few days ago, computer-science pioneer Alan Turning’s notes were auctioned off for an enviable sum of over $1 million. 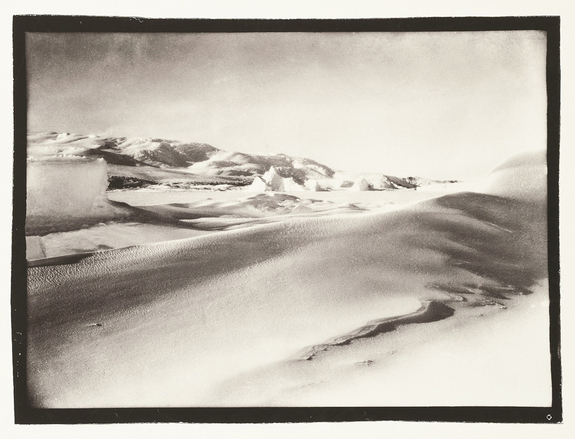 This time around, another fascinating ‘artifact’ has gone under the hammer, in the form of photographs taken by explorer Robert Falcon Scott during his doomed trip to Antarctica. 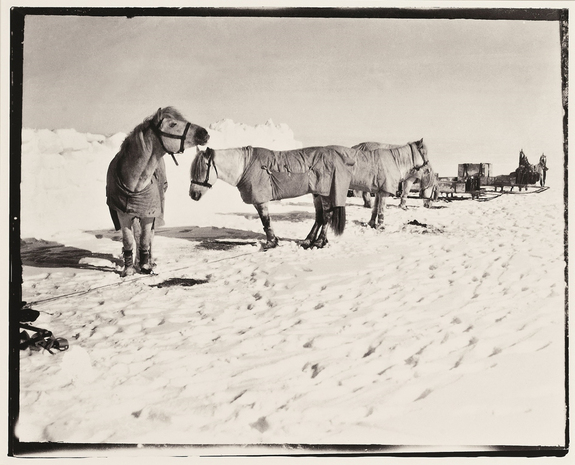 All of these images (eleven of them) were captured in the base camp located in Antarctica’s Ross Island, and they documented the workings of the daily life as the explorers made ready for their epic journey to the South Pole. 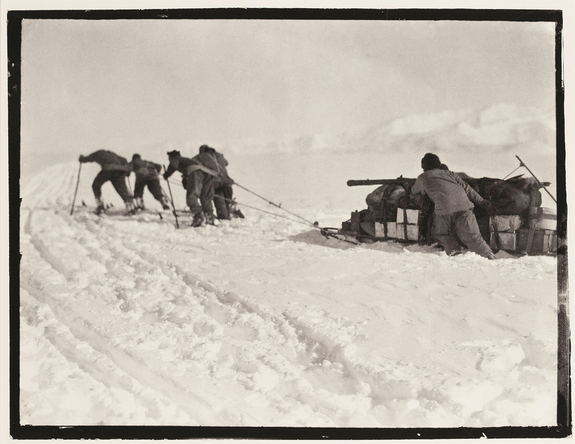 Unfortunately, the so-called Terra Nova expedition turned into a grim endeavor, when Scott along with four other men met their fatal ends on the long trek back from the actual pole point. 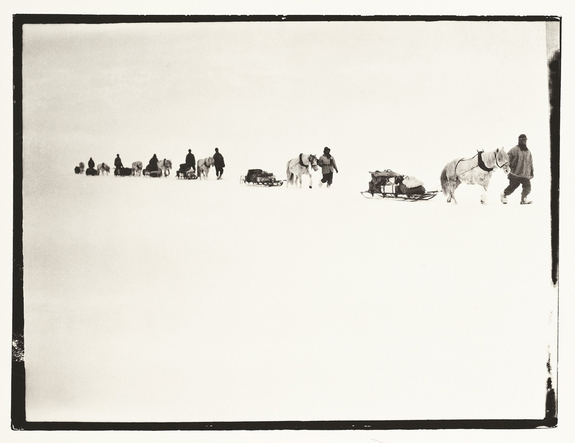 Just to give a little historical backdrop, there were 66 men (Scott being one of them) who were all set to take part in the race (and the coveted title of being the first men) to reach South Pole in June of 1910. Scott and his team did succeed in the feat of reaching this pole point in January, 1912, but they missed out on being the first humans there by just one month after Roald Amundsen and his crew claimed the title in December, 1911. 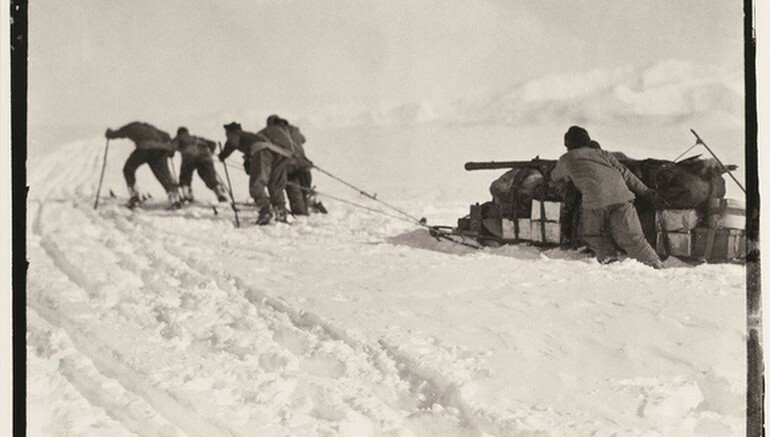 However, the real tragedy struck when they were making their way back from the South Pole. On the long road ahead, the team was assailed by threateningly freezing conditions and unusual blizzards that ultimately took their lives. The bleak state of affairs was expounded by a series of eight poignant letters wrote by Scott himself when he was already up on his last legs. 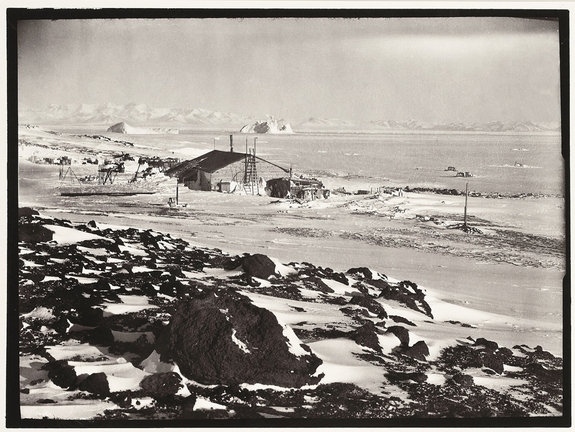 As for the photographs in question here, their negatives were painstakingly developed by Herbert Ponting (the chief photographer for the Terra Nova mission) in a tiny dark room situated in Ross Island’s base camp itself. In fact, the negatives were salvaged by members of a relief party from Scott himself (before he was stranded by the ominous weather conditions), and brought back to Ponting who stayed behind in the base camp. The developed photos were then sent to England; and after more than hundred years, they were auctioned off at Christie’s Auction House yesterday (on April 28th) for an expected sum of over $30,000. All Images Credit: Robert Falcon Scott / Christie’s Images Ltd. 2015.